Cole has not really met water. He has experienced the bath tub, from his bath chair and he loves it. He has touched his toes into the Atlantic and shivered at its sensation, backing away. But today, water was all around him at a wading pool. 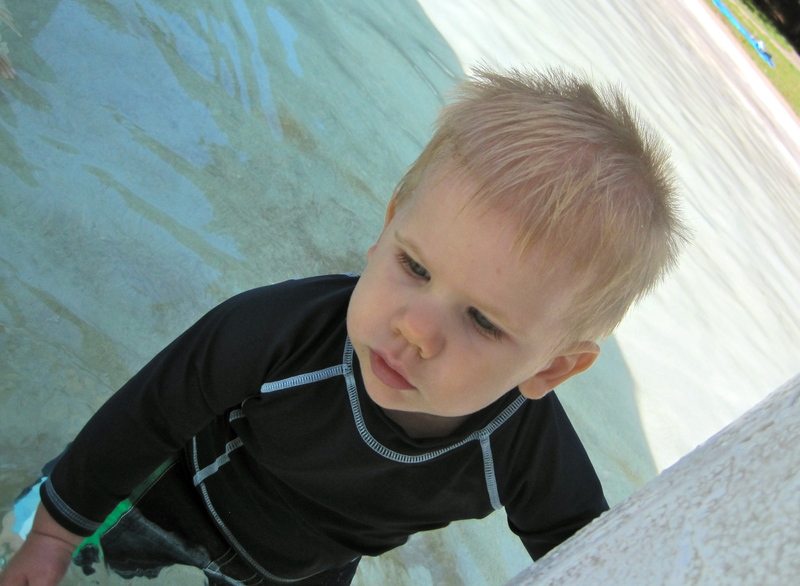 While other children raced through the water recklessly, Cole was tentative, uncertain. He liked it, but he understood . . . one ought to be cautious. Oh child of ours, may you always adventure out, but with appropriate wariness, respecting and revering all that is around you. What a lovely water and zoo day we had.